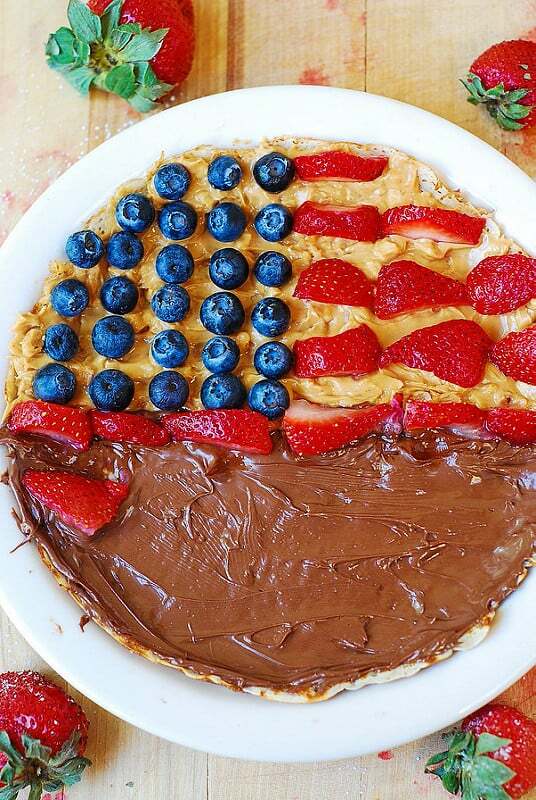 4th of July crepes – festive red, white and blue dessert for the 4th of July holidays! These crepes are made with blueberries, strawberries, bananas, peanut butter, and Nutella. Super easy to make and very fun! Learn how to make crepes from scratch and also how to make gluten free crepes! Starting this Sunday, I am setting a little personal challenge for myself – to post a new crepe recipe every Sunday, for the next 2 months. Hopefully, each Sunday morning, if my challenge keeps up, I will have a new crepe recipe up on my site. And, to kick off this personal challenge, today I am posting a recipe for 4th of July crepes! 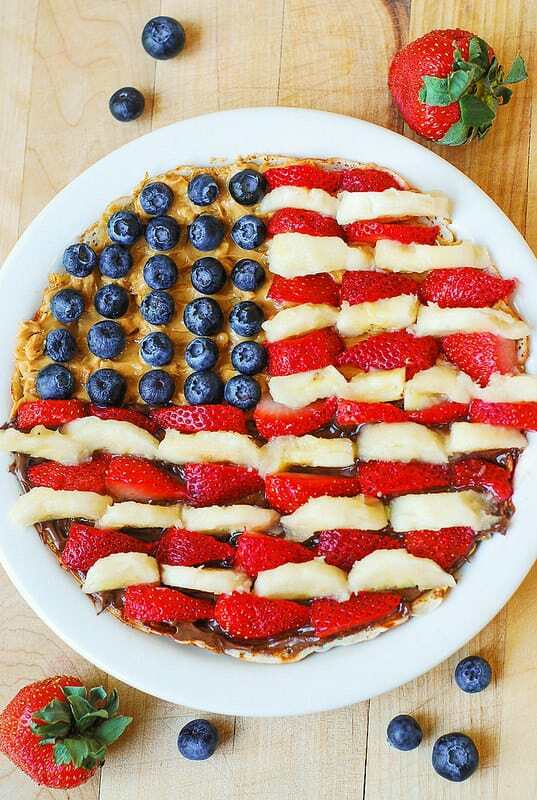 I see 4th of July desserts and recipes all over Pinterest lately, but, being a little short on time to make a cake, I decided to take an easier route and just make patriotic crepes instead! It was actually quite a fun and very easy project, and I thought that this would be a great activity for kids to do over the 4th of July holidays. Each kid can decorate his/her own individual crepe and then, of course, eat them! I have posted a very good recipe about how to make crepes from scratch in a regular frying pan – that post always gets positive reviews, and it explains in detail (including step-by-step photos) how to successfully and easily make delicious, paper-thin crepes! Definitely check it out! Or, or you can make gluten free crepes. I am using both peanut butter and Nutella here, but if you like one better than the other, just use peanut butter or only use Nutella. Whatever suits your tastes. 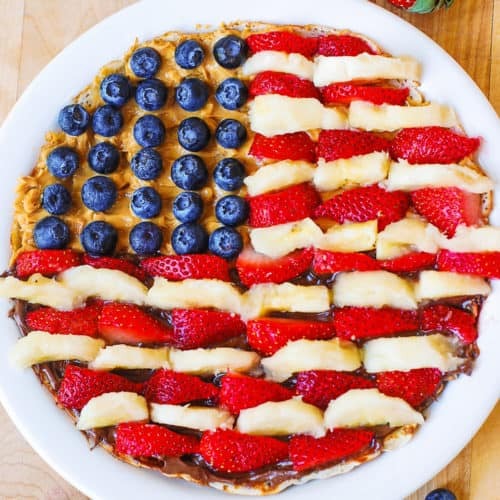 The pictures in this post are pretty self-explanatory in showing the process for decorating these crepes for the 4th of July. 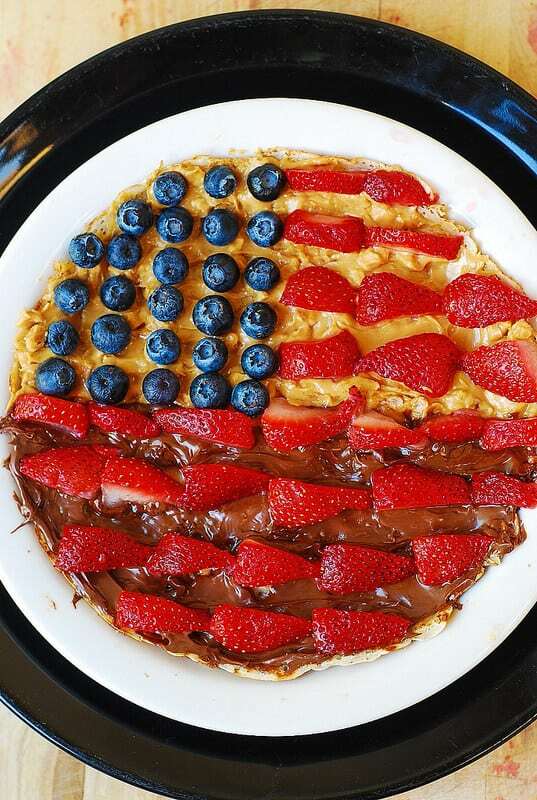 4th of July crepes - festive dessert for the 4th of July holidays! 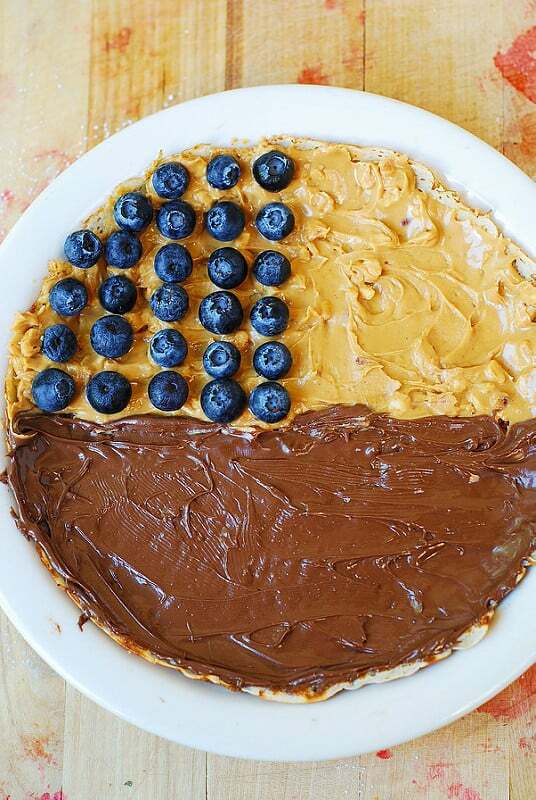 These festive crepes are made with blueberries, strawberries, bananas, peanut butter, and Nutella. Make homemade crepes. Or, make gluten free crepes. Place a crepe on a plate. 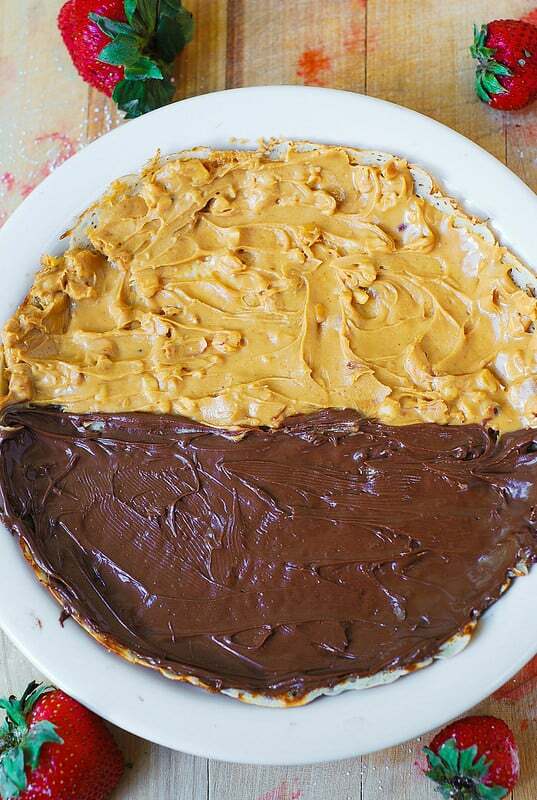 Spread peanut butter over one half of the crepe, and Nutella - over the other half. 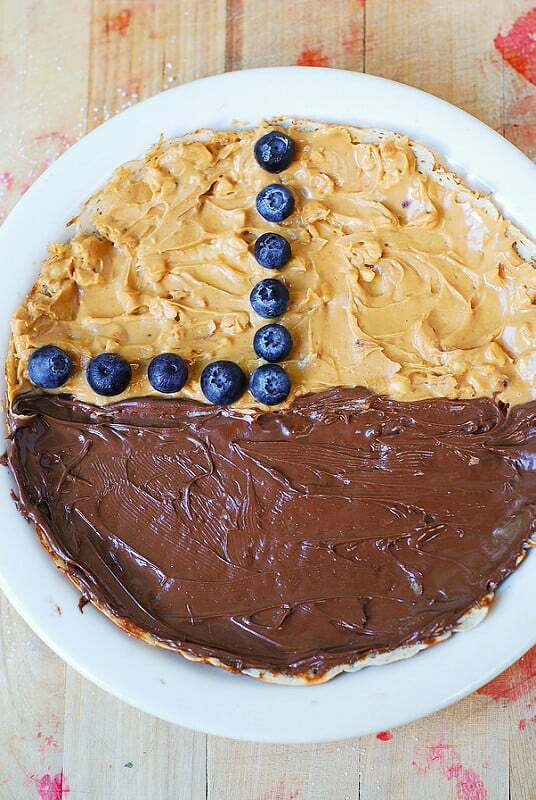 Start with blueberries, by arranging them in parallel rows in the upper left corner of the crepe (the portion of the crepe covered with peanut butter), just like my photo shows. Slice each strawberry in half, then slice each half in 2 or 3 slices, depending on the size of the strawberry. Arrange strawberry slices on top of the crepe, forming parallel lines - refer to my photos for reference. Slice the banana in rounds, then slice each round in half. Place each half round slice of banana flat side down in between strawberry lines to from parallel banana lines. Again, refer to the photos. Note: The total cooking time does not include the time to make crepes. It is assumed you have pre-made the crepes. 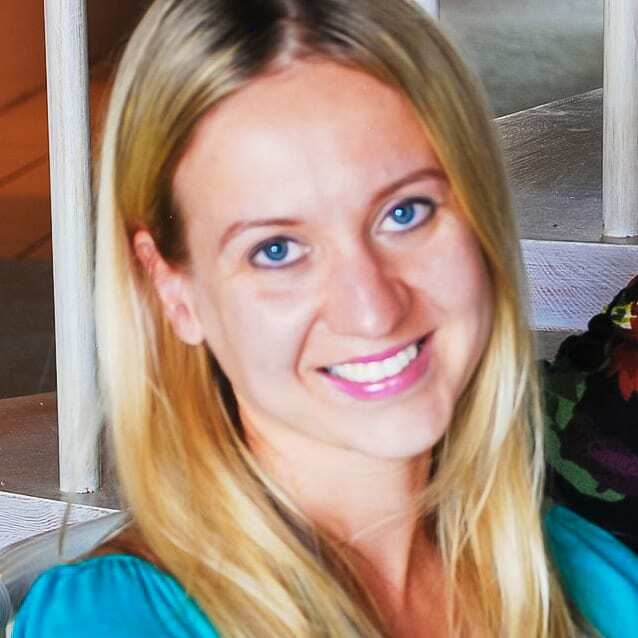 You are so creative Julia! Beautiful! So fun and so pretty Julia! I just love these patriot crepes. They are beautiful and full of tasty ingredients. Love it! Happy Birthday USA! That looks like so much fun. I want to make some too!